A reception area is the first thing a client sees when they walk into a business. On their first visit, it is an excellent opportunity to make a positive impression. 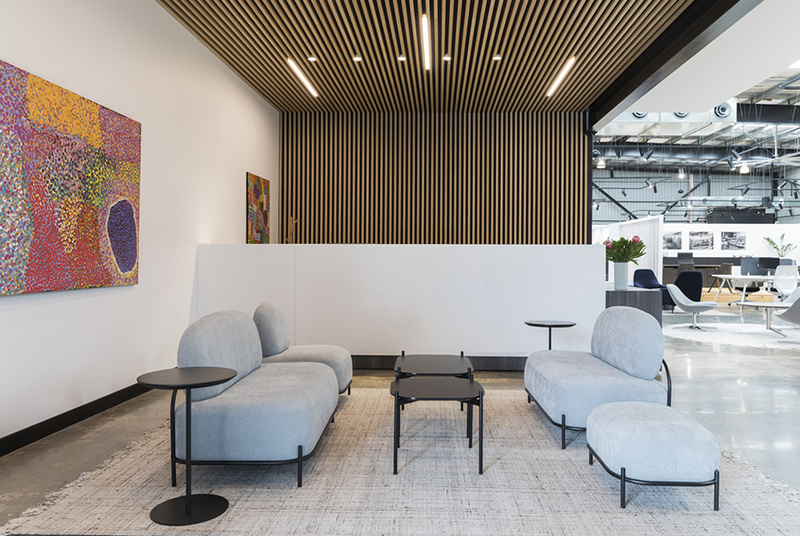 With a shift in the traditional corporate environment, knowing your brand and message you want to convey to customers is important to determine which style of reception area is suitable for your workspace. Seating: Depending on the business, picking the right style of waiting chair is important to ensure clients are comfortable. For a more relaxed and welcoming environment, lounges like our Maya paired with a coffee table create a friendly and open atmosphere. For more formal reception areas like medical centers, factors to carefully consider include: quantity, dimensions, chairs for all types of people and materials to suit clients expectations. Reception Desk: As the main focal point of your reception area, the counter should resonate with the culture and aesthetic of the business. Investing in a creative design with brand-specific artwork assists in shaping a company's identity. Knowing the practicality of your counter is important in determining what equipment you need to allow for. If using computers, it may need to be obscured with a raised counter, like our Central which has the option of full or partial sides for more privacy. A Welcoming Atmosphere: A reception areas furniture is extremely important, but the guests experience should be seamless in every aspect. Small touches of comfort to incorporate into your waiting area include: offering coffee or refreshments, reading materials to keep clients entertained, granting wifi access or a mounted television if suitable. Small gestures like the above make clients feel welcome and important. Carefully planning your reception area ensures clients indulge in the ultimate front of house experience. By making sure it is comfortable, spacious, welcoming and aligned to your brand, it will turn a one time visitor into a regular.